As you enter the Elk River Valley, just beyond Steamboat Springs, Colorado, you may notice the peaked eaves of the barns, the storybook crest of Hahn’s Peak in the distance, and the feeling that you are going back in time to a more idyllic landscape, one that hasn’t changed much in 100 years. No condos. No streetlights. Just Colorado as you hoped it would be, and as it once was. Big ranches. Blue skies. Real cowboys. 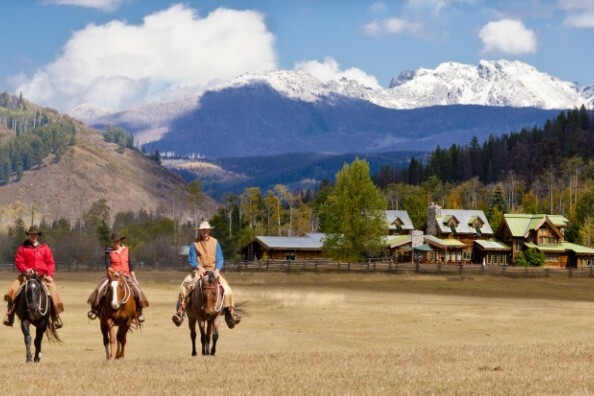 A luxury dude ranch in the summer and fall, and a warm and welcoming cross country ski resort and Steamboat ski lodging option in winter and spring, The Home Ranch is an idyllic Rocky Mountain hideaway set amid the timeless beauty of the Elk River Valley. 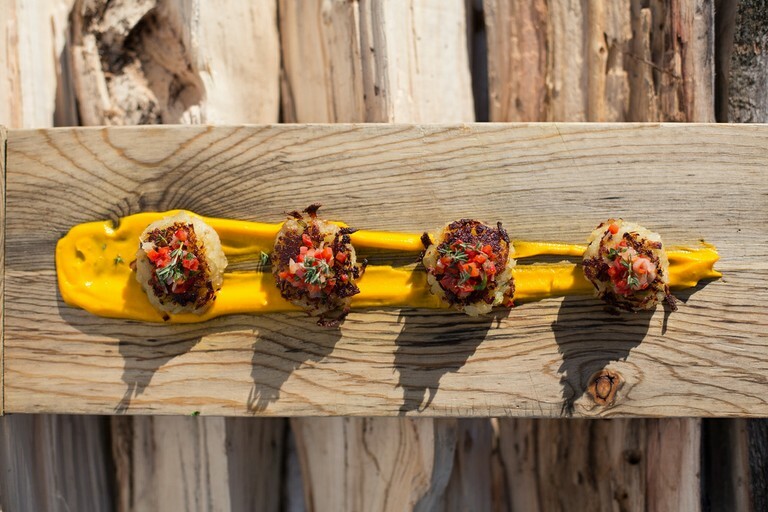 The only Relais & Chateaux dude ranch in Colorado, we are renowned for our singular charm, refined comfort, exquisite cuisine and genuine hospitality. 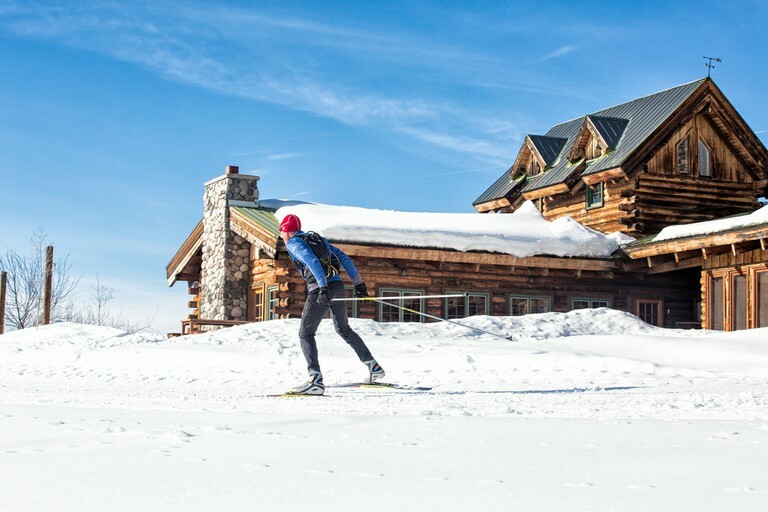 Our elegant Western accommodations are comprised of our main lodge with its 6 unique lodge rooms and 8 distinctive cabins, nestled in the aspens, surrounding our lodge. 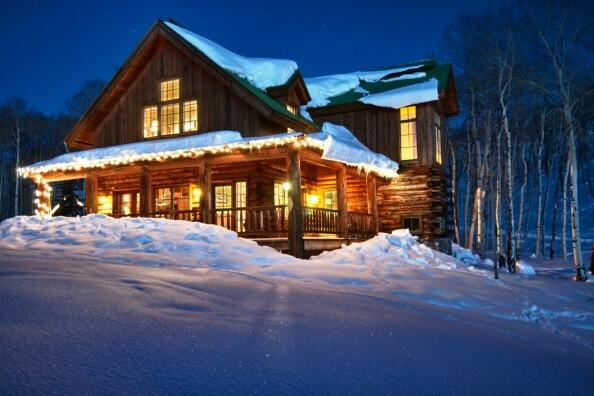 All of our lodging offers magnificent views of mountains, meadows, horses and aspens. 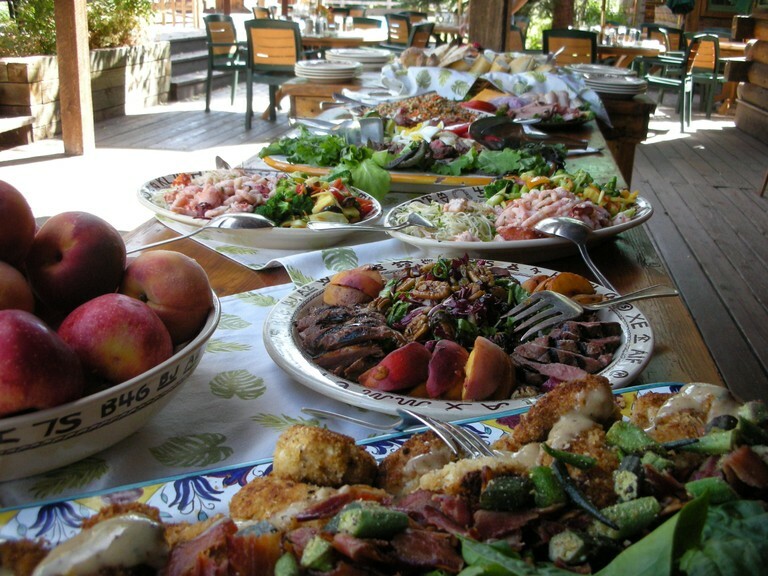 At full occupancy, our ranch is capable of lodging 50 people. Tucked away in the aspens surrounding our main lodge, each of our cabins is unique in setting and design. A charming combination of rustic exteriors and inviting interiors, each cabin varies in size from one-bedroom studio with a loft to a three-bedroom, three-bathroom, 'Home on the Ranch.' Each cabin is appointed with antiques, Native American rugs, plush down comforters, wood-burning stoves, hair dryers and robes. 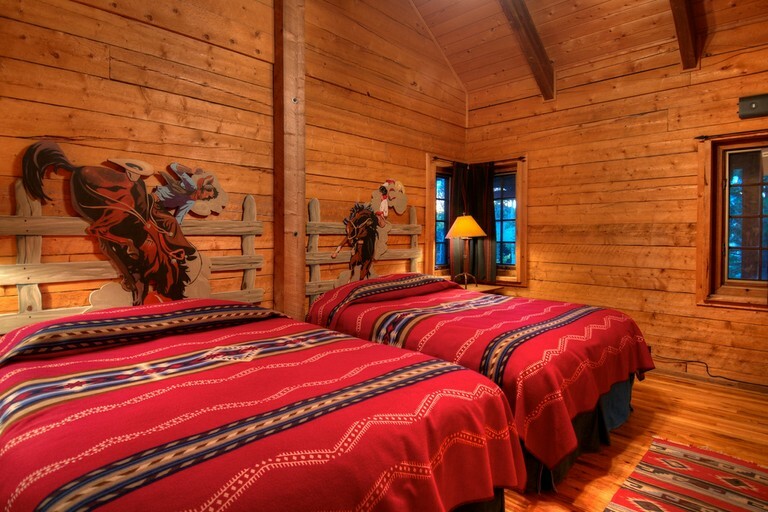 Some of our cabins have lofts that are perfect for the kids. Each cabin has its own porch and hot tub. All of our cabins can make a home for a family of four. 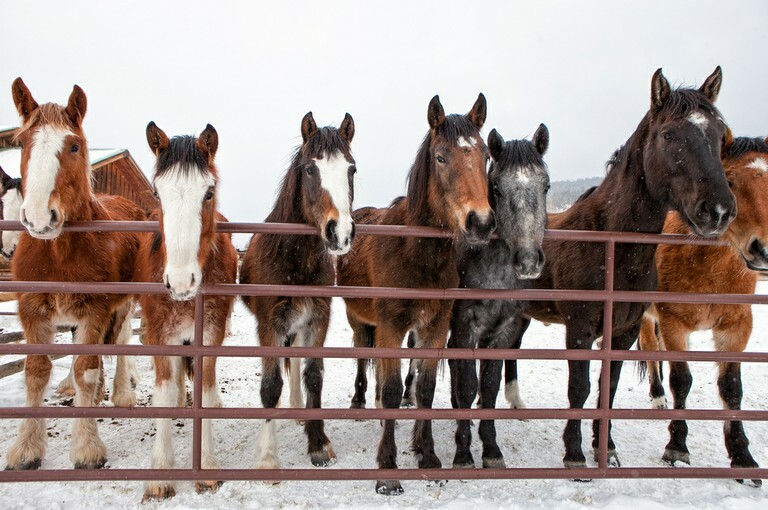 Our Colorado dude ranch just north of Steamboat Springs Colorado offers six rooms in our main lodge. Our lodge rooms have all the comforts of a cabin, with a closer proximity to the pool, dining room, hot tub, laundry facilities and rec. room. Each is appointed with antiques, Native American rugs and king beds with plush down comforters. Each private bath was recently renovated and features glass enclosed showers and separate vanity. 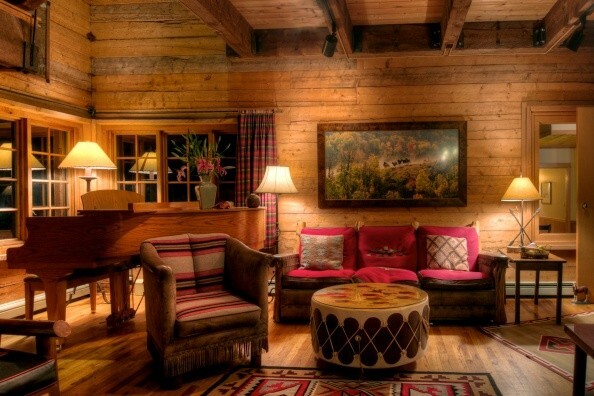 In addition to being closer to activities, guests also have immediate access to the ranch's living rooms. 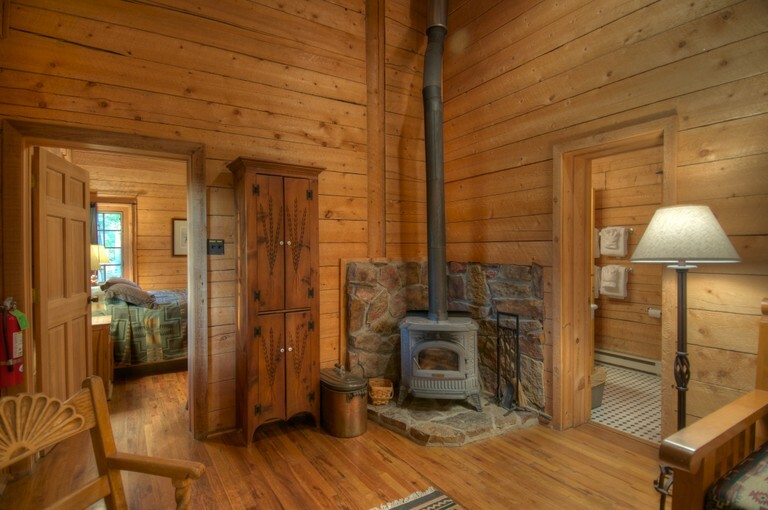 Each lodge room can accommodate a family of three, with the exception of Bonanza. Some of our lodge rooms also have lofts. To make you feel even more at home, you will find a small refrigerator stocked with crackers and cheese for an afternoon snack (if you haven't already filled up on the chocolate chip cookies in the bottomless cookie jar) in our lodge rooms and cabins. 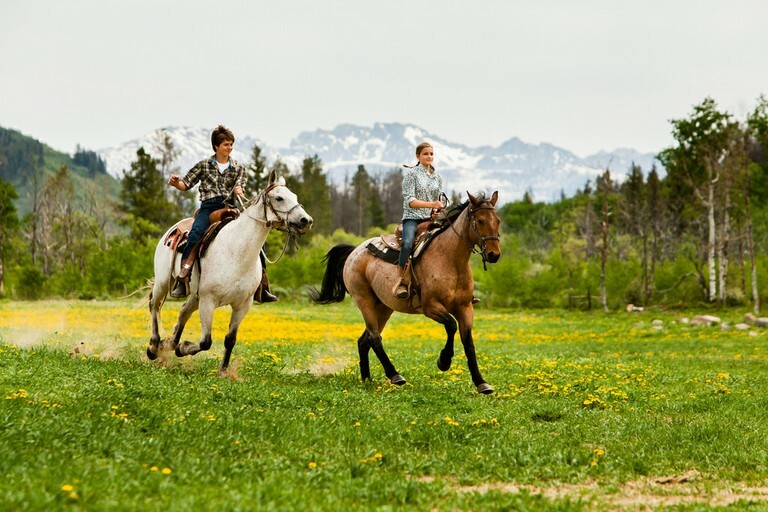 An all inclusive vacation at one of the best dude ranches in Colorado puts the wild and scenic Elk River, the Medicine Bow-Routt National Forest, and the Mt. Zirkel Wilderness at your doorstep. 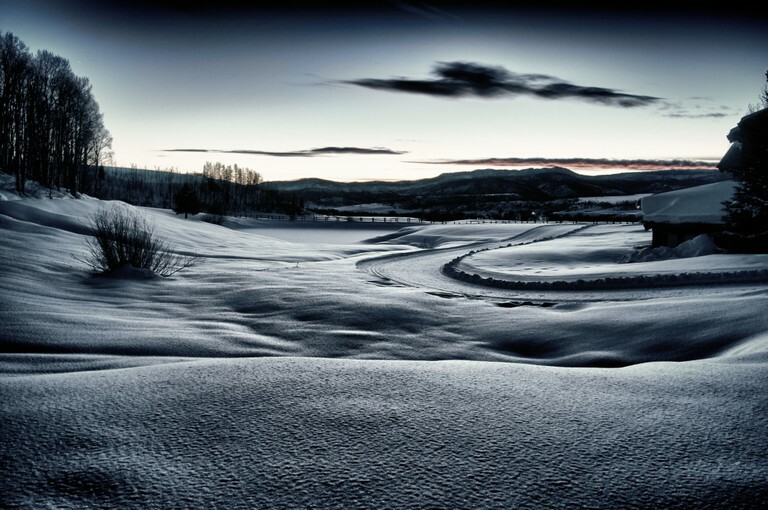 It also gives you and your family immediate access to some of the best travel outfitters in the Steamboat Springs Colorado area. The Home Ranch makes an ideal home base for all kinds of adventure travel options in every season of the year, and we offer our guests a wide variety of adventures and activities to suit any age, taste or desire. 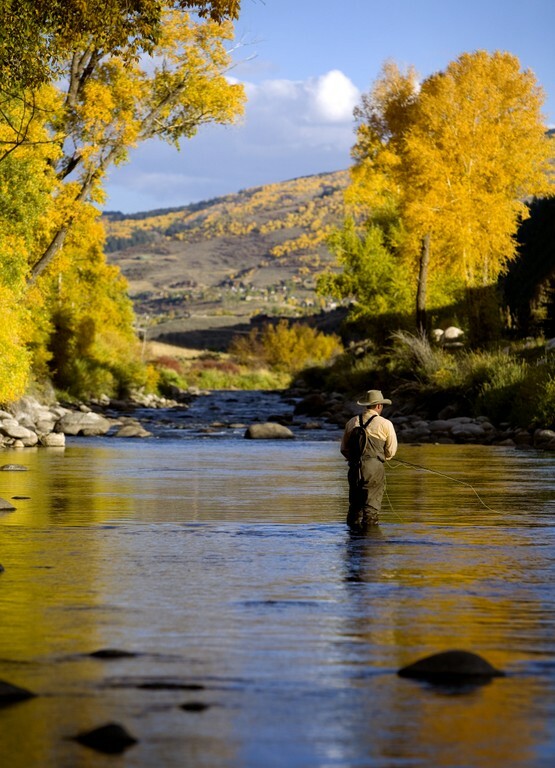 Our Colorado dude ranch is known as one of the premier destinations in the west for summer horseback riding vacations, Colorado cross country skiing in the winter, and Colorado Fly Fishing throughout the year, but we offer our guests a wide variety of adventures in addition to the big three. 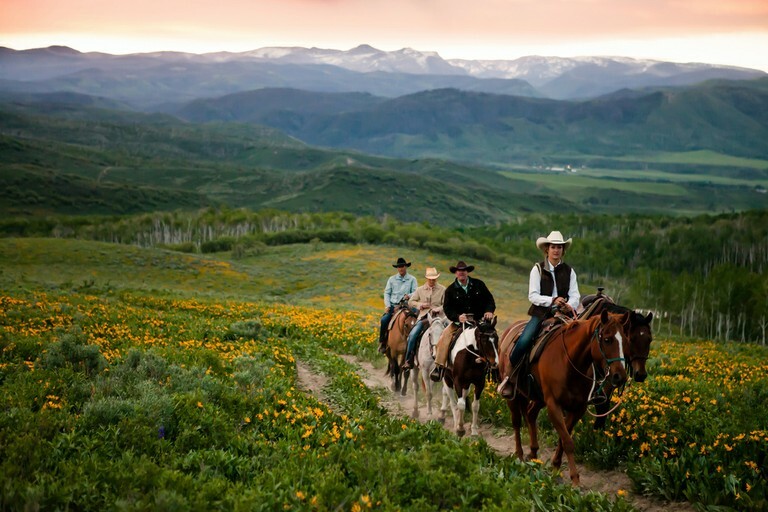 Each season at The Home Ranch offers distinctive opportunities for mild or wild adventures, and we invite you to peruse our website for more details on each seasonal offering. 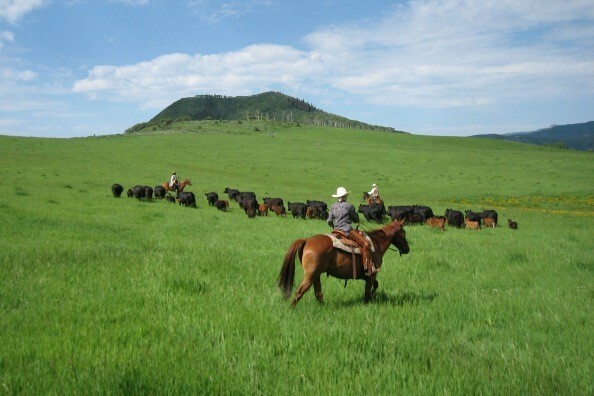 Our Colorado dude ranch opens for week long family vacations in mid-June and continues until the end of August. Individual travelers and couples of all ages are also welcome to join in the fun. We offer wrangler led horseback riding, guided hiking, mountain biking, and fly fishing every day of the week, morning and afternoon. We also offer full day excursions for those who want to head out deeper in the wilderness. Our exceptional children's program is available every day from 8:30 a.m. until 9.pm. and our tireless and enthusiastic counselors create fun adventures for kids and teens alike. Dude ranch. Gourmet cuisine. Strange bedfellows these two phrases. 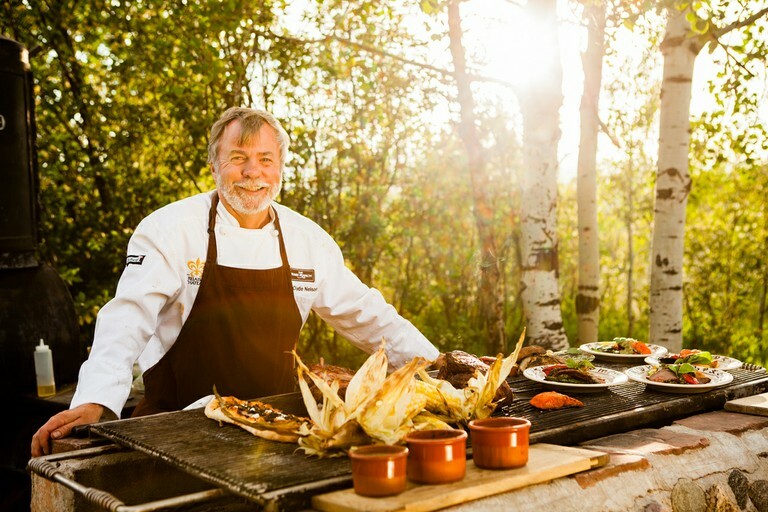 As the only Colorado dude ranch with a membership in the prestigious Relais & Chateaux, we won't pussyfoot around the subject: our food is amazing, and our spirited communal dining room adds great conversation to accompany Clyde's cuisine. (For those that may not know, Relais & Chateaux is French for "this place has truly incredible food.") 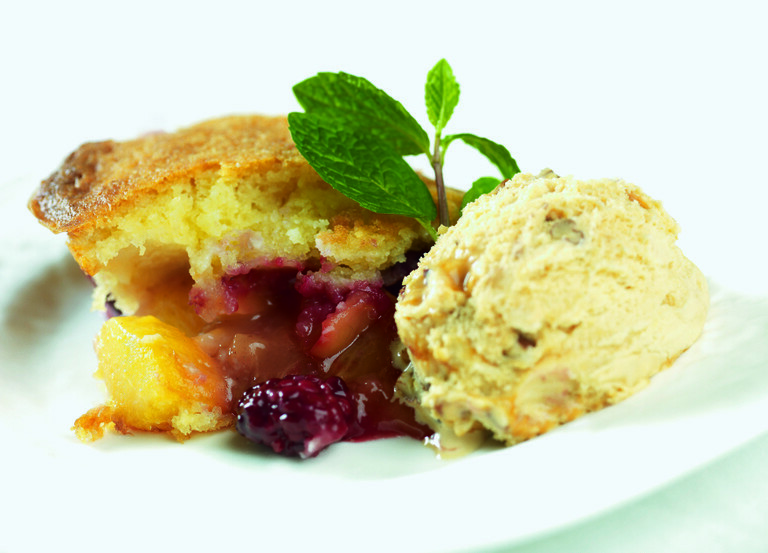 Our kitchen caters to guests with special dietary considerations. Just ask us. A 15% service charge to your bill at the time of check out. heated pool - Closed during the winter! We have amazing mountain biking trails at Home Ranch! 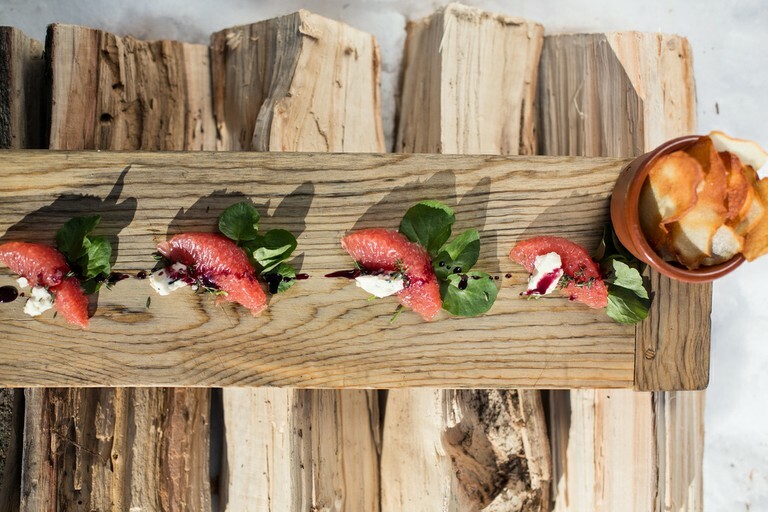 Due to the popularity of the ranch, weddings work best in spring, fall and winter. 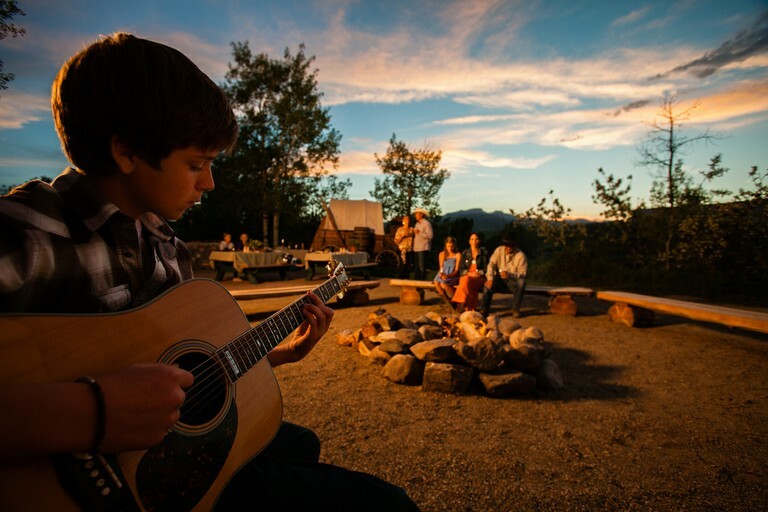 A dude ranch is a wonderful place for a family reunion, with plenty of activities to keep everyone busy. Please give us a call to find out more about what your reunion could include.